Magic is in the air with our new Magical Unicorn Gift. Surrounded by an assortment of gourmet cookies are an array of rainbow and unicorn decorated cookies that will WOW any fan. 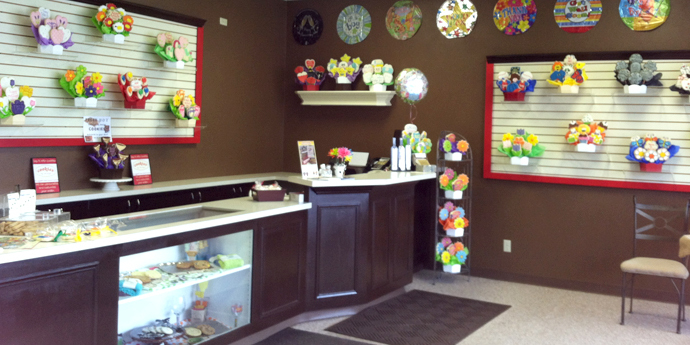 For over 24 years, Cookies by Design has been helping customers in the Rockford, IL - area with their gift giving needs by providing beautifully decorated cookie arrangements, an extensive gourmet cookie selection, as well as other specialty gifts like Truffles, Brownies, and Cupcakes. We handle individual and corporate gift giving with custom cookie bouquets and gift baskets for any occasion. Our cookie experts are here to help craft the perfect unique gift for your celebration. Each of our signature sugar cookies is freshly baked and hand-decorated right in our bakery and can be customized with a name, special message, logo or even a photo. 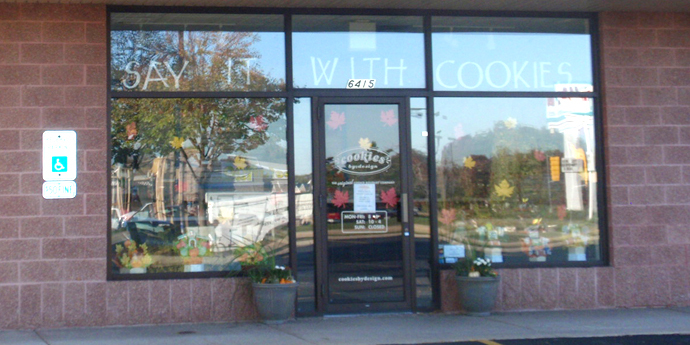 Stop in our Rockford bakery located on Riverside Blvd across from Beef-A-Roo and catch the aroma of our fresh baked gourmet cookies, cupcakes and treats. Grab a treat for yourself or have a gift basket delivered to a loved one. We offer cupcake and cookie delivery to Northern Illinois and Southern Wisconsin - Rockford, Machesney Park, Loves Park, Roscoe, Rockton, South Beloit, Beloit, Janesville, Durand, Pecatonica, Winnebago, Freeport, Byron, Stillman Valley, Rochelle, DeKalb, Belvidere, and Poplar Grove; as well as local universities and hospitals like: OSF St. Anthony Hospital, Swedish American Hospital, Mercy Health Hospital, Beloit Memorial Hospital, Rockford University, and Northern Illinois University. Same day and Saturday delivery is available in most areas.